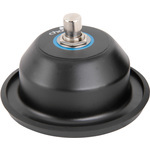 A non-latching foot switch in a heavy duty steel pedal housing. 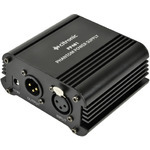 Complete with a polarity switch on the rear and a 1.5m lead with 6.3mm jack plug. 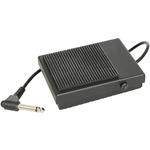 Momentary action pedal switch designed for use as a sustain pedal for keyboards and digital pianos. The "dual polarity" changeover switch makes this pedal operate as normally open or normally closed to suit different keyboards. The 1.5m cable is fitted with a 6.3mm standard jack plug. 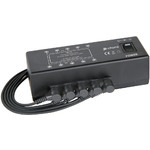 A range of phantom power units providing +48V for use with condenser microphones. 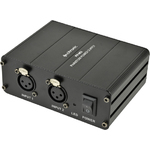 Available in single channel or dual channel and a USB version with built-in audio interface for connection to a computer. 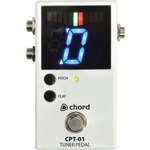 An auto-chromatic tuner pedal for use with electric musical instruments. 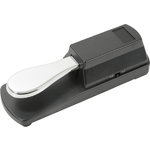 Housed in sturdy die-cast metal with a heavy duty on/off foot switch. A large LED display reads the octave range and note. 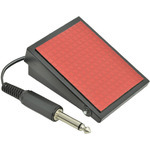 Also features a tuning accuracy meter, selected pitch and flat tuning status. 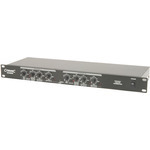 The CE22 is a professional multi-band enhancer/exciter designed for various applications. 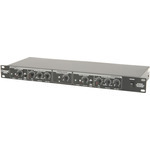 This unit combines 2 processors to align the phase and focus of bass frequencies, improve the response of mid-high frequencies and add harmonic content to any "dull" sounding audio. The surround processor utilises the phase alignment engine to give a greater perceived width to the stereo field.